The 455 model is designed for CT applications. It measures kVp, time, dose/dose rate, HVL, Total Filtration, and CT dose. Everything happens in a flash! The Black Piranha is quick, Ocean software is quick and therefore your daily QA-work will go quickly. Ocean can perform instant real-time analysis during your measurements. Ocean also prepares a report in the background as you go. So when the work is done, if you want a complete report of your work – just press print! Use your tablet/laptop as both an interactive display during the measurements and as a powerful analysis tool when you are back at the office. All your measurements, along with the result and the report will be stored inside your tablet or laptop. No unnecessary, time-consuming data-transfer at the end of the day. Everything happens automatically – just plug n play. The Quick Check can almost feel what you are about to do. The Quick Check feature identifies your probe and selects the optimum Piranha settings for your measurements. It can also be programmed to always start with the kind of set up that you usually start your QA-work with. There is really not much you have to think about before you begin – sit back and let the Piranha do the work! During the measurements you will only see the desired values on your tablet or laptop but since the Piranha continues to work behind the scenes, you always have access to all of the data from each measurement. This enables you to perform for instance trend analysis and study the history of each X-ray equipment – even months after you have completed your measurements. The Piranha comes ready-to-use with everything you need included. It is really an all-in-one multifunction meter. Connect to your computer wireless or via USB and you have a complete QA-system! 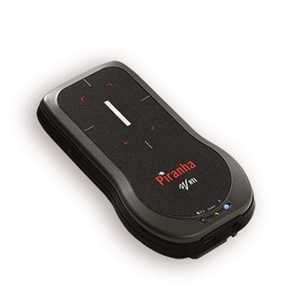 The number of Piranha models available ensures that you only pay for what you need. As your needs grow, you have unlimited ability to upgrade your Piranha. Piranha has a unique feature that makes it possible to check the position of the detector before measuring. By using the “Position Check” function, you can verify that the detector area is fully irradiated. Possible field inhomogeneities are also neutralized. ► RTI Black Piranha Comparison Chart....Coming soon!